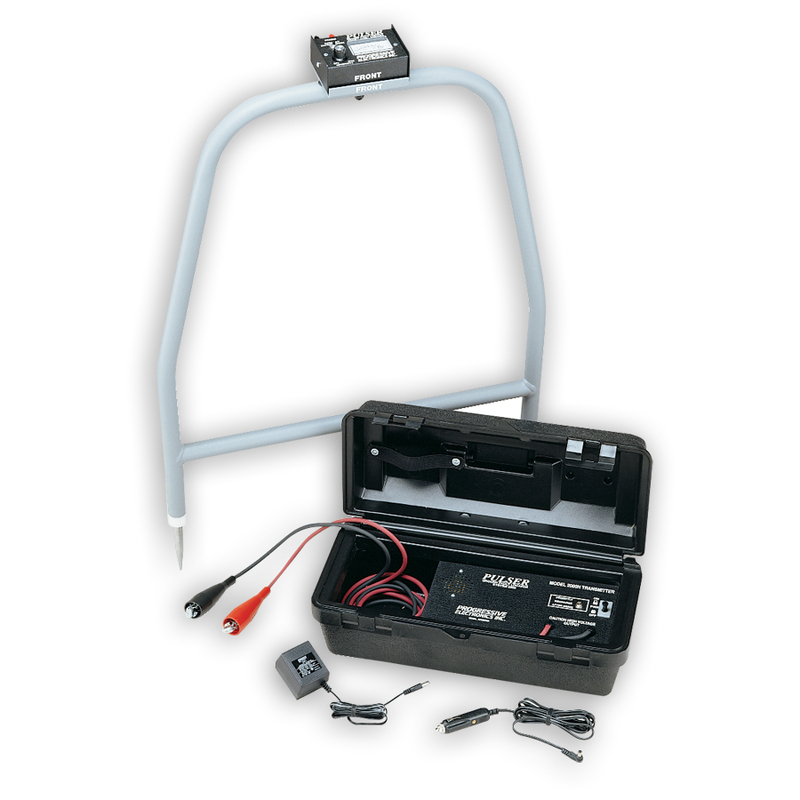 - High Frequency Transmitter Provides Range up to 4000 Feet (1219 m) and Depths to 7 Feet (2 m). - The Transmitter Offers Three Methods of Connection: Direct, Inductive Coupler, or Inductive Antenna. - Inductive Coupler Clamps Around the Wire or Pipe for Use on Active Lines or Where Isolating the Line is not an Option. - Inductive Antenna is Built into the Case Housing and Allows the Transmitter to be Placed on the Ground Over the Wire Path to Radiate a Signal Down onto the Conductor. - 32" (813 mm) Lightweight Receiver Provides Both Audible and Visual Indications of Signal Strength for Accurate Identification. - Transmitter Output and Receiver Sensitivity are Both Fully Adjustable for Maximum Accuracy. 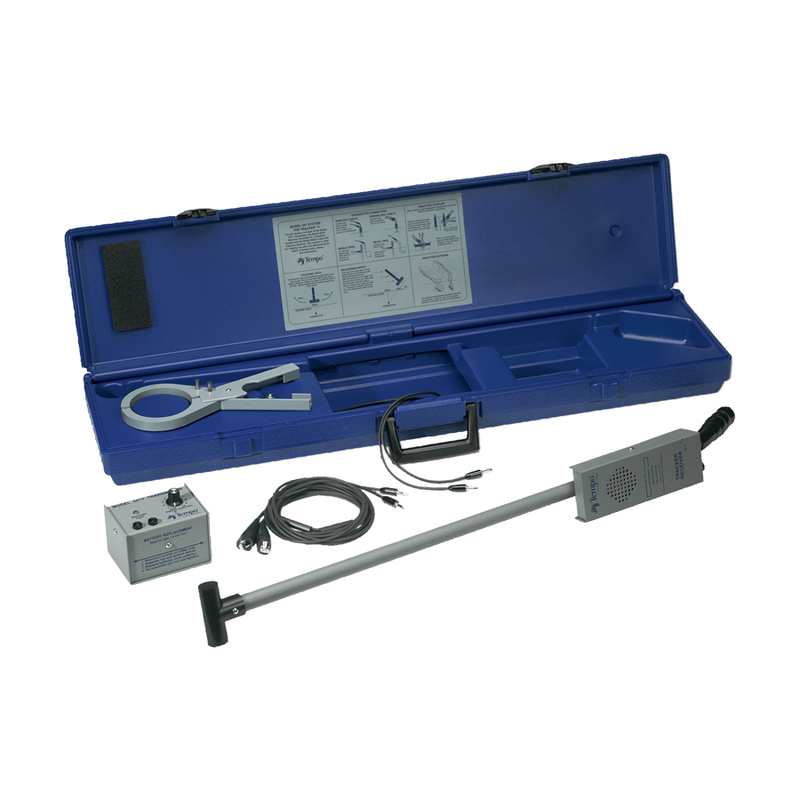 - Includes Transmitter Assembly, Receiver Assembly, Inductive Coupler (clamp), Inductive Antenna (built-in), Two 8 Foot (2.4 m) Test Leads with Heavy-Duty Alligator Clips, and a Durable Polyethylene Case. - Optional Headset is Available for Use in High Traffic Areas or Other Noisy Environments. Lightweight and ergonomically-balanced for comfortable, low-stress operation. Microprocessor-based circuitry delivers increased accuracy - and features auto-gain control in all environments. Automatic signal boost makes it easy to trace lines, even those with very weak signals. Low battery indicator. Receiver may be used in active or passive mode. 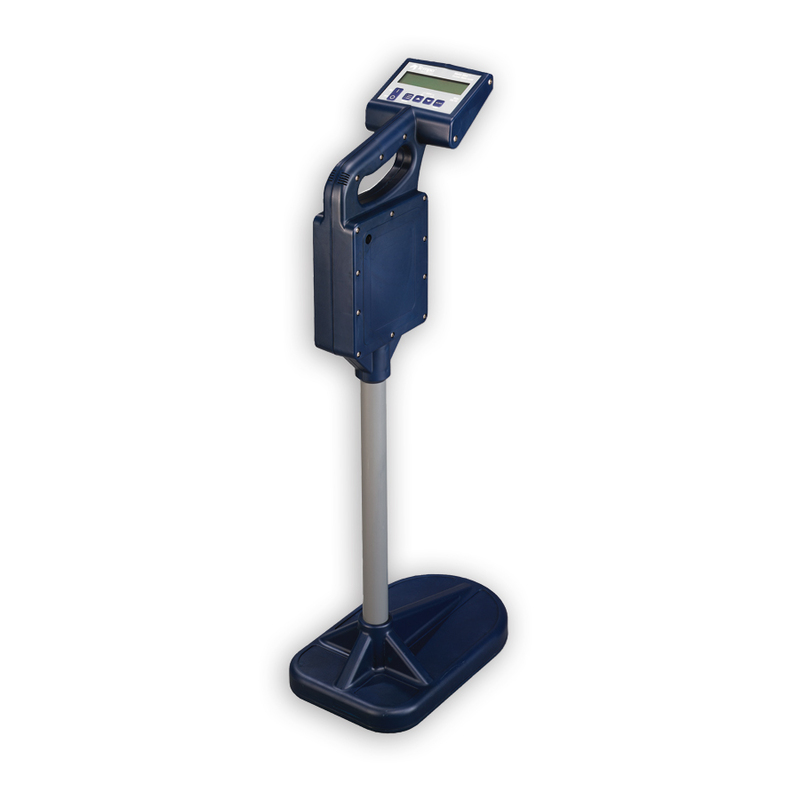 Traces 20 feet (6 m) underground and provides depth readings up to 15 feet (4.6 m). Receiver locates multiple passive frequencies with only a single switch setting - more convenient and time saving. Transmitter clamp fits conduit and pipe up to 3" trade size. 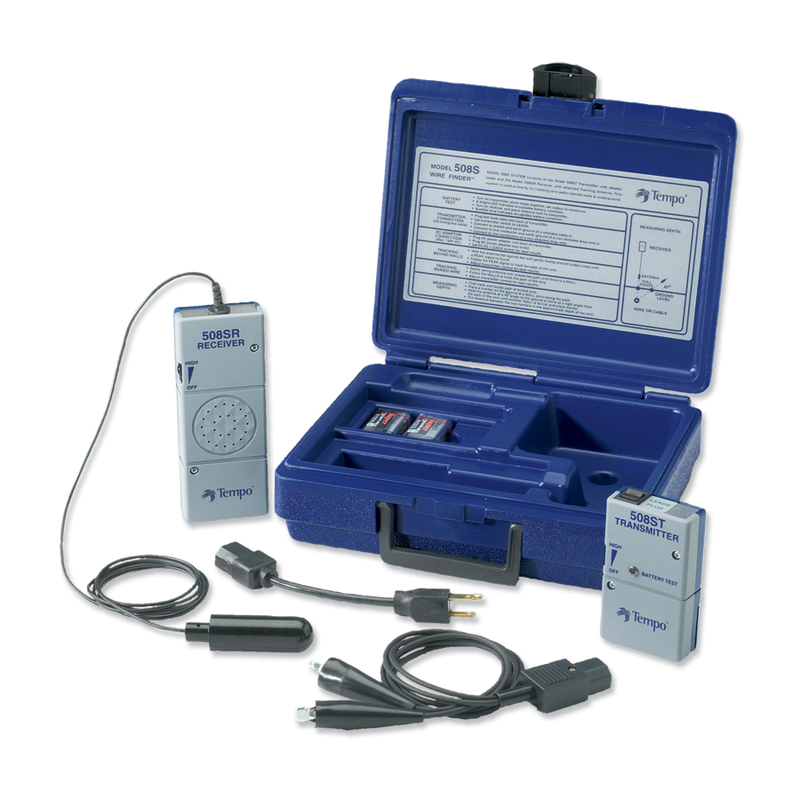 - Portable Transmitter "Pulses" a High Voltage Signal into the Earth at the Location of the Faults. 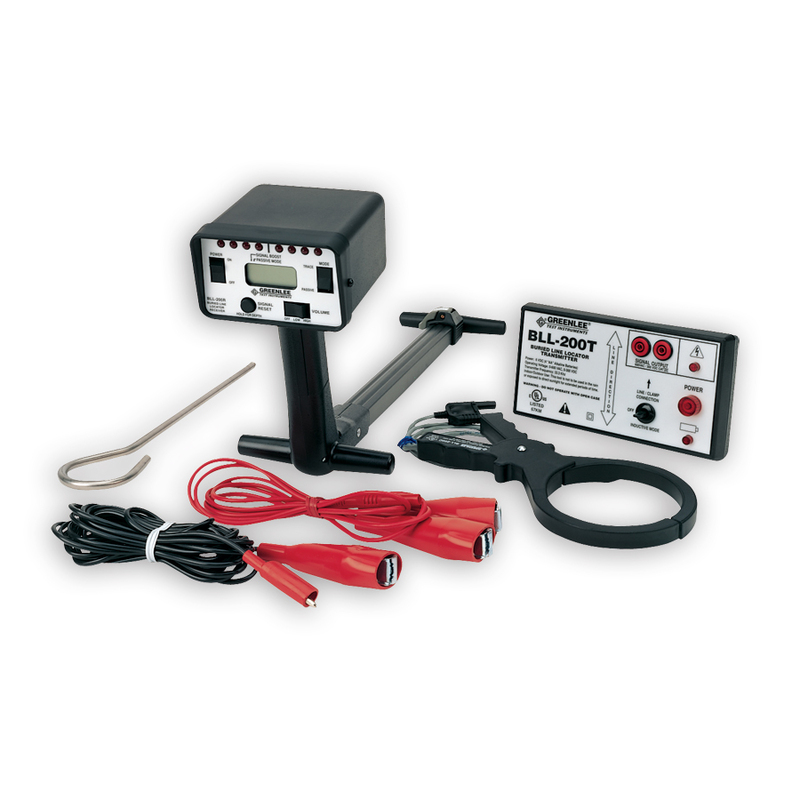 - With the A-frame Mounted Receiver, a Visual Analog Meter Points the Way to the Source of the Voltage. - Multiple Faults on a Single Wire can be Identified Indicating the Need to Replace Instead of Repairing. - Extra Long Test Leads Feature Heavy-Duty Alligator Clips for Use on Multiple Cable Types. - Includes a Rechargeable Transmitter, Receiver, A-Frame, Ground Stake, 120V AC Charger, 12 Volt DC (Cigarette Lighter) Adapter, and Complete Operating Instructions. - Battery-Operated (1) 12V and (1) 9V Included.